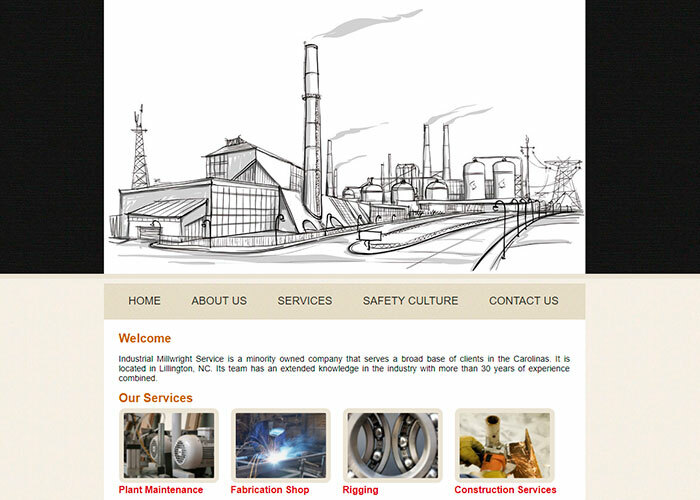 Industrial Millwright Service is a minority-owned company that serves a broad base of clients in the Carolinas. It is located in Lillington, NC. Its team has an extended knowledge in the industry with more than 30 years of experience combined. IMS offers a wide range of specialized services such as commercial construction services, fabrication shops, rigging, and mechanical installation or shut down repairs. The company prides itself on the quality of its work and professionalism in every project. If you would like to have the job done in a professional and efficient manner don’t hesitate to call. It will be a pleasure to assist you! DKByte design and created their corporate website, a brief description of their services and a contact page allows them to be reached by new prospective customer every day.